Triathletes swimming in the 33rd Chicago Triathlon in 2015. 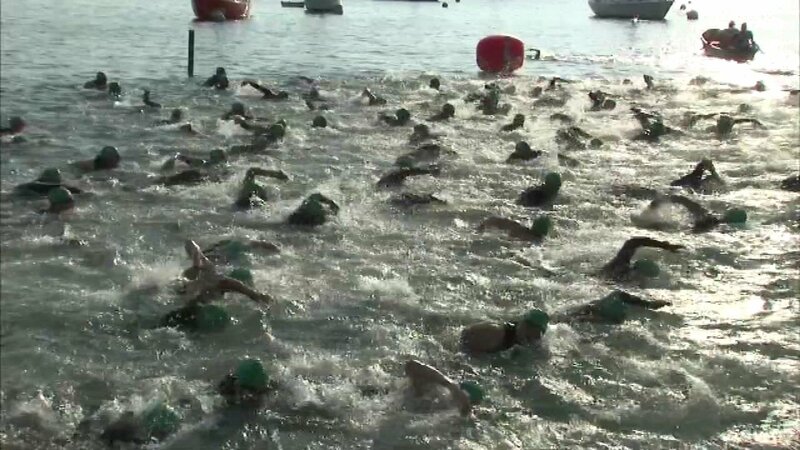 CHICAGO (WLS) -- Thousands of athletes took part Sunday in the 34th Annual Chicago Triathlon. The Chicago Triathlon is one of the largest triathlons in the U.S. with 7,000 athletes participating this year. People gathered along the race route to cheer on participants. The finish line was on Columbus Drive in Grant Park.